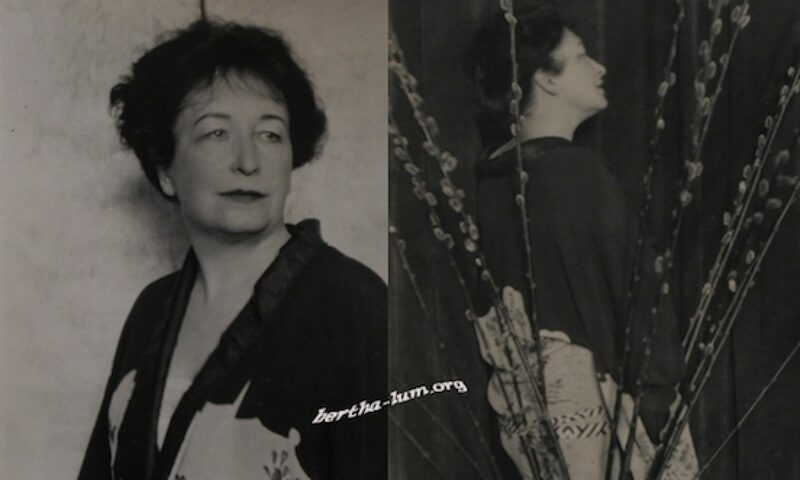 Bertha B. Lum was born Bertha Boynton Bull in may 1869 in Typton, Iowa. Her father was Joseph W. Bull (1841-1923) and her mother Harriet Ann Boynton (1842-1925). Joseph W. Bull was practicing Law and Harriet Boynton had been a school teacher in Ohio and Iowa. In 1900 Bertha and her family was living in Duluth. Bertha had one sister (Clara, who died of pneumonia in 1898) and two brothers (Carlton and Emerson). She studied art at the Institute of Art at Chicago from 1895-1900. She was a student of Anna Weston. She followed then the courses of Frank Holme who founded the Chicago School of Illustration in 1898 and who was trying to print with woodblocks. In 1903 she marries Burt F. Lum, a lawyer from Minneapolis, Minnesota. Their honeymoon takes them to Japan, which captivates Bertha. As Bertha studied with Frank Holme, she was interested in woodblock printing. The beginning of the XXe century in the arts was influenced by the Japonisme, in Europe and in the US. Before I went to Japan, I thought that print makers were as easy to find as paper lanterns or kimonos but after I spent six weeks asking everyone who spoke English – guides, ricksha boys, hotel proprietors and curio dealers – were I could buy tools and see them make prints, and found no one to tell me, I became utterly discouraged and only succeeded the week before I sailed from home, in being directed to a shop where they reproduced old prints, ans it was an hour spent there that gave me all the knowledge I had of the process aside from what I had learned from books. This shop, as great favor, allowed me to pay $20 for thirteen tools (and I was glad to get them at any price) though I found on a later trip that they were of inferior grade and I then bought fifty of the best for $5. When I returned home I added to the knowledge gained in this short time by reading everything obtainable on the subject, and started to make prints. It was not easy – they would not register and it was so hopeless trying to work it out by myself that three years later I returned to Japan intending to work in the shops until I had learned the technical part. Back in the U.S. she produced some lovely prints like “China Boy” or “Lanterns”. I had two letters, one to the proprietor of the print shop who sold me the tools and when I sailed I found his name on the passenger list. He spoke no English but through a mutual friend I showed him the prints I had made and told him what I wanted to do. He was willing to take me into his shop but it would be very expensive as I must work under the best printers. I decided I would at least present my other letter before I paid $10 a day to work under one of his men who received not over 75 cents a day. This letter was to Baron….who had been a Commissioner to the World’s Fair at St Louis and was a lecturer on Art, well known in America and Europe as well as in his own country. He came to my Hotel, was most courteous and interested and, though very busy, took time to bring to me one of the professors of the Imperial Art School who made arrangements for me to work in the house of a friend who cut very fine blocks. The next day we started early and went miles and miles far into the suburbs of Tokyo, down back streets and finally at the end of an alley, where the poorest people lived, in a very small house of four rooms, we found the man who was supposed to cut the best blocks in Tokyo – and there I worked every day for two months. My teachers were mostly two apprentices of twelve years of age, “the master” coming in once or twice a day to approve, or mostly disapprove, of my progress. The master engraver was Iagmi Bonkotsu. After having learned how to cut, she went to the printer (Nishimura Kamakichi) and there again she stayed many weeks watching young apprentices color in her own prints. When I was ready to stop cutting blocks, accompanied by the professor and “the master” I was taken to another part of the city and presented with due ceremony to the printer. We drank tea and ate cake for two hours and all was arranged for me to begin work the next morning. I went every day for four weeks and did no printing but watched the man work out my ideas from the blocks I had cut. It was in a part of the city where foreigners never go and when I appeared at the end of th street it would immediately fill with men, women and children and when we reached the house my ricksha boy go so near I could slip into the front door. We worked in a room on the first floor with only the paper shojii between us and the mob,all that could come near enough, would wet a finger, punch it through the paper and then use the hole as a peep hole and you could look up any time and see a dozen or more eyes watching and the entire screen would have to be recovered each day after my departure. None of these people spoke a word of English my Japanese was only useful in bargaining fo junk so you see there were some difficulties to be overcome. I had no interpreter when cutting blocks but wanted one for the printer but the best I could find was my « ricksha boy » who found it so much more interesting to sit on the floor and say “Too much blue”,”More water” and like remarks than pulling people about in a Jinricksha that I found him much more useful than a regular guide who would have been too bored to be of service, considering such work beneath his dignity. Had I not had the second letter of introduction my second trip would have been entirely wasted. Everything in Japan is very easy for the tourist. Ivories, embroideries, curios, bronze await you in the shop, are brought to your hotel – you cannot escape them – but if you want something of the people, learn an art or buy something purely Japanese, you face a wall. There are no openings, it is too high to go over and if you try to walk around you only go in a circle and soon return where you started. I returned to America and for three years worked out things that interested me, trying to add my ideas to theirs, and last year decided to take a house in Tokyo for the winter, send for my old printer and enjoy myself. She looked for her craftsmen and did not find them for several weeks… Fortunately, with the help from a good friend of her, at last she find them. For some years, (in the US) she cut and printed her prints herself. Later she employed one, then several printers to color in her works. She had two daughters: Catherine Balliet Lum and Eleanor Peter Lum. Very early her daughters followed in her footsteps; Catherine continued for quite a while to create original art works. As for Peter, she improved her coloring in technique on her mother’s works before taking up sculpture. In her book My own Pair of Wings, she says she was not gifted. To learn more about their works, I suggest you go to the following page. Bertha Lum illustrated quite a few of the articles written by Peter (and Catherine). Bertha Lum held a lot of exhibitions that allowed her to make herself known and sell her works. She was an artist who lived well off her art; the sale of her works in a Californian art gallery brought her in 500 $ a month, which was a considerable sum at the time. For a little she lived in Japan, before settling in Peking in 1922, near the Forbidden City. She lived in a house that had formerly belonged to the Prince Tzu, son of the Emperor Tao Kuang. She returned to California (from 1924 to 1927) and used that time to diversify her art. She started creating screens. She did silk screens but also portraits of actors. She lived in Hollywood and was the neighbor of Rudolpf Valentino. Those portraits were photorealistic paintings and are quiet unusual in Bertha’s career. On her return to China, she settled in a different house, this one also close to the Forbidden City. 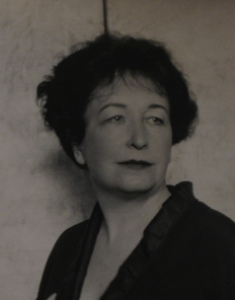 Her works sold so well in Asia and in California mainly thanks to her connection with the Grand Hôtel des Wagons Lits, which received Western visitors to Peking. In the other Hotel’s lobby , the Grand Hôtel de Pékin, was Mme Helen Burton‘s souvenir boutique: the Camel Bell. And it was here where you could buy Bertha Lum’s works. Every now and then, the boutique would house an exhibition of her original works (her drawings and paintings). There are no traces of her work after 1937. Her eyesight was at this time deteriorating. She left China in 1947 to live in the United States, but returned in 1948. She left China definitively in 1953, and went to live with her daughter Catherine at Genoa, Italy where she died in February 1954.